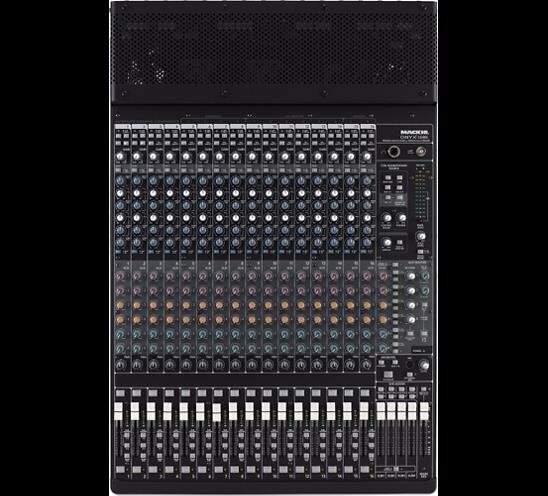 The Mackie Onyx 1640i professional compact mixer is one of Mackie's Onyx-i series consoles. It offers built-in FireWire, along with a mix of modern features and technologies for live sound reinforcement and analog or digital studio recording - all in a durable, roadworthy package. The Onyx 1640i is equipped with 16 of Mackie's premium, precision-engineered studio-grade Onyx mic preamps. Mackie is renowned for the topnotch mic preamps used in their mixers, and today, they're better than ever, with specifications rivaling expensive standalone mic preamplifiers. Channels 1 and 2 feature high-impedance instrument/line-level inputs so you can connect an acoustic, electric, or bass guitar directly into the mixer, eliminating the need for an external direct box.